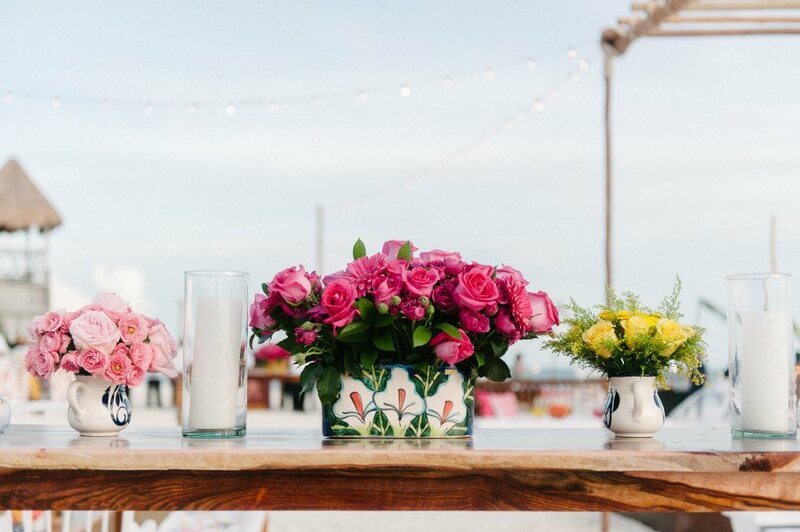 Now that it’s officially summertime, we are all about bright colors and eclectic themes. 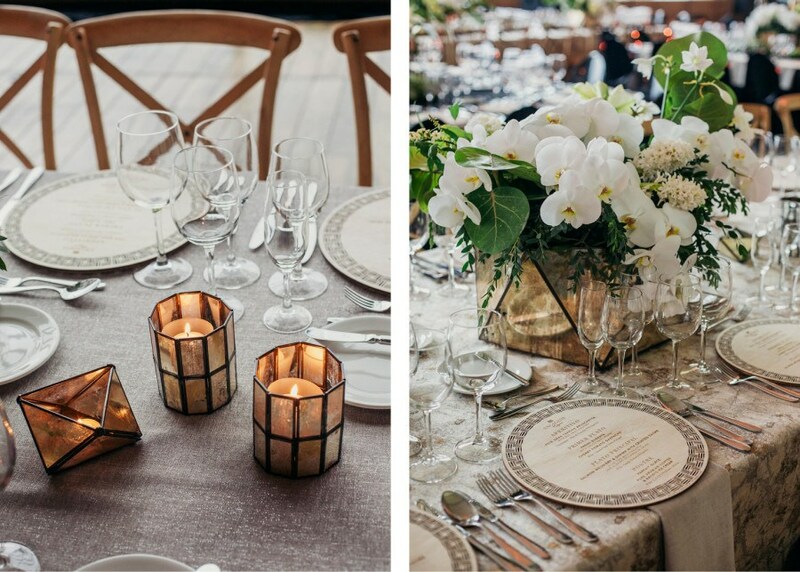 Such is the case in this beautiful southern summer wedding in Atlanta featuring our Charcoal Velvet and Silver Metallic Forest linens! 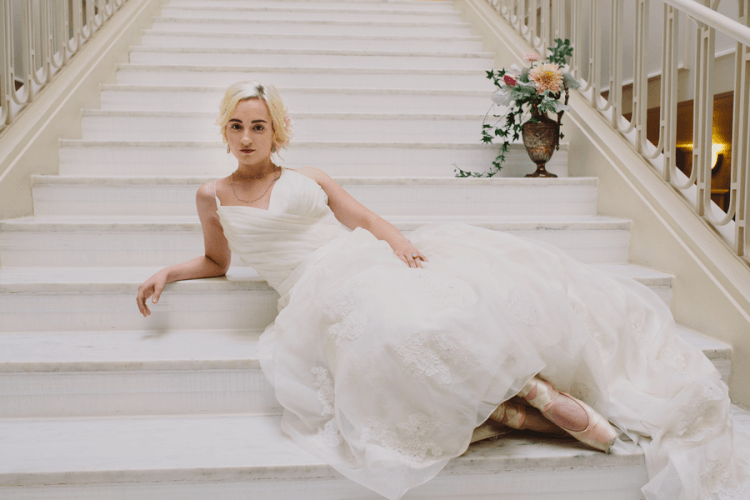 The bright flowers, dark linens, and pastel & gold accents, along with the beautiful and angelic ballerina bride have us absolutely in love with this magical love affair. 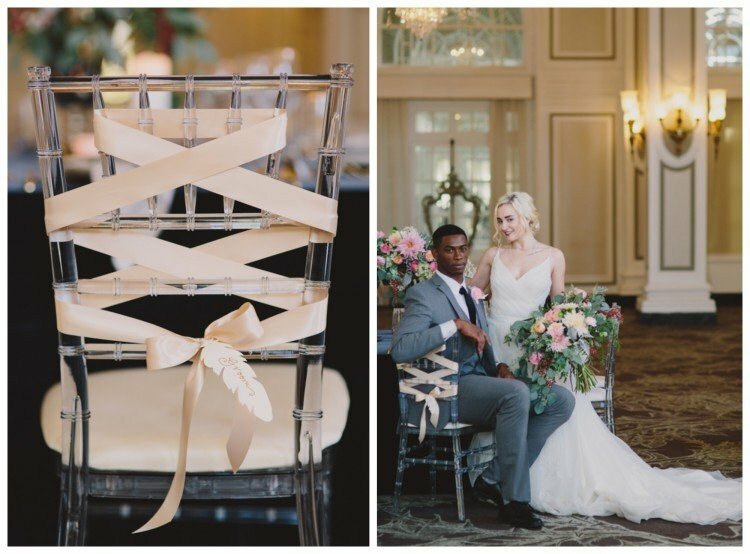 The details are stunning too, with satin laces tied through the chairs emulating the ribbons of a ballet slipper tying to the ballerina’s leg. The lightness and weightlessness of the dancer is represented as a delicate feather placecard on the table. Swirls on the cake represent the poetic and organic path of the dancer. Don’t miss all the details below! “At 18, I stood at the bottom of the massive marble steps inside the vast Louvre Museum in Paris gazing up at a grand goddess. The first time you experience this work, which stands erect, almost like a guardian over this French fortress of art, it is unforgettable. The Winged Victory of Samothrace is a powerful piece. The way the smooth soft lines of the sculpture’s tunic fall over the rough stone of the body and float back effortlessly is transcendental. With these contrasting elements of hard and soft, this piece purely defies nature. Or so I once thought. Now it’s clearer to me that this work actually defines nature. In the same way running water flows gently over coarse stones, curving and shaping them, this 2nd century B. C. piece was formed with details that are both opposing and edifying. 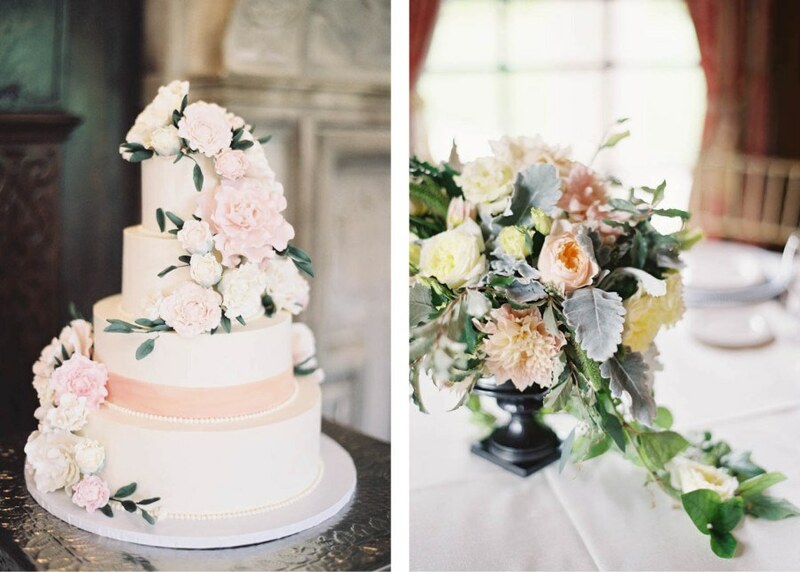 This post originally appeared on Southern Bride. an inside look at Engage! Today, we are featuring our journey at Engage!, which was hosted in Mexico for the first time ever! 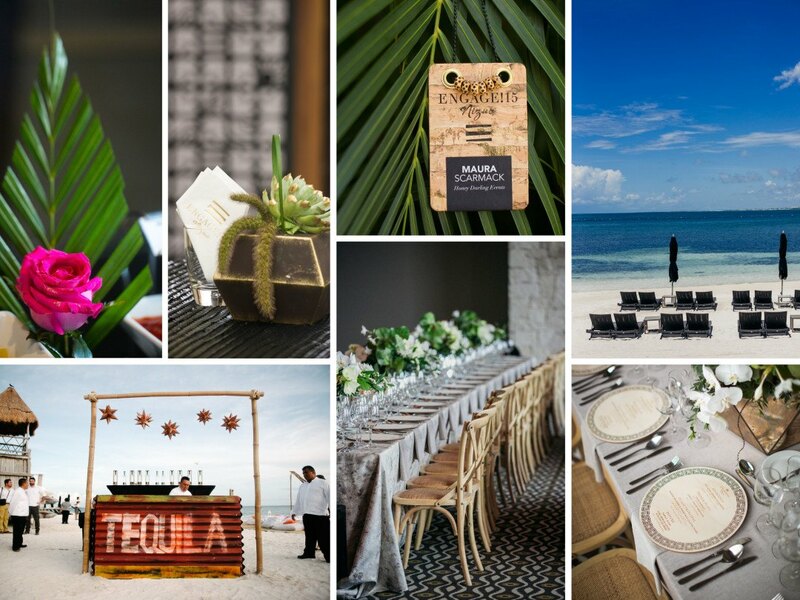 From June 8-11th, the wedding industry elite gathered for three days of inspiration, education and celebration in Riviera Maya, at the acclaimed NIZUC Resort & Spa. Engage!15 exclusively took over the entire resort during this time and our team couldn’t have been more ecstatic that in addition to attending this event, we were given the opportunity to work with local superstars Elena Damy and Canteiro Weddings, to showcase our linens against the stunning Nizuc backrop. Engage! 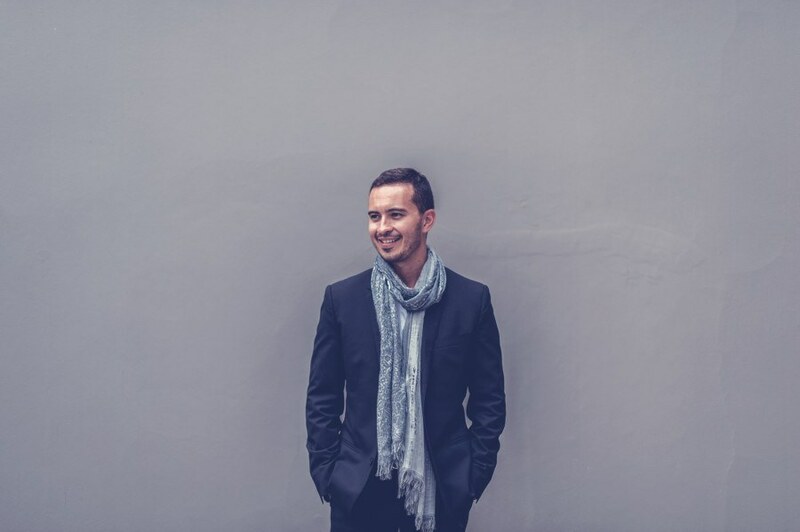 brings together leaders in the luxury wedding industry, from celebrity planners to luxury lifestyle experts to creative entrepreneurs offering unique insights on business strategies and life balance. Intimate by design, Engage! blends a tailored schedule of curated activities along with creative extras and down time, offering myriad opportunities for natural networking. 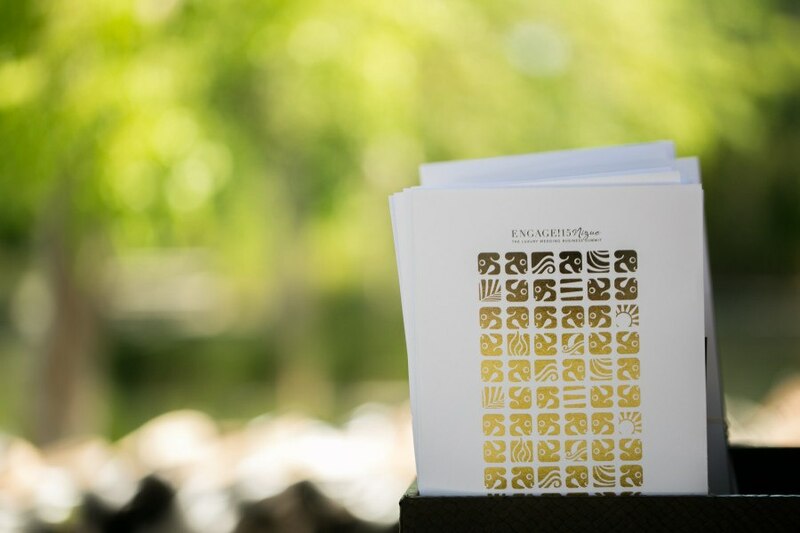 From our perspective, each year, the experience offers invaluable insight into the industry and coming trends, so that we can be at the cutting edge of the industry for our clients in the year to come. We are so excited to share some of the photos from our time at Engage! After attending Engage! for 9 times the conference never fails to impress me. 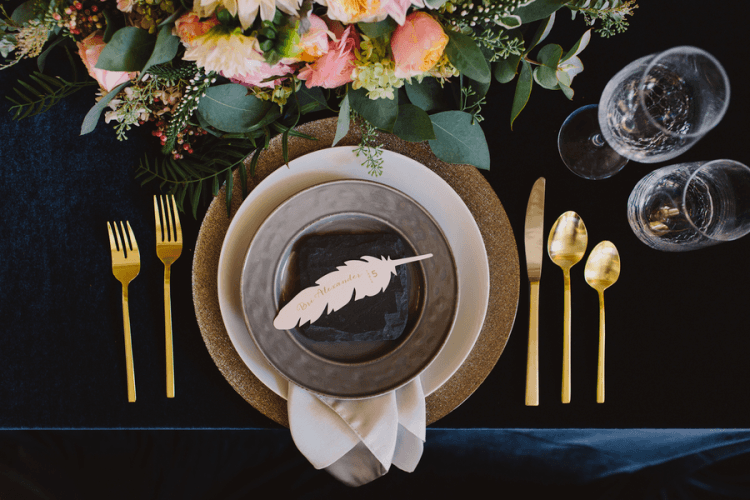 Not only is it the best curated conference in terms of the amazing events that take place over the 3 days, but it is also the top source of information on the state of the wedding industry. Where it is now, where it is headed, how technology is shaping weddings and how it is affecting couples planning their celebration. It is indeed the one summit that gathers the leading professionals from around the globe in a relaxed setting to effortlessly network and share ideas. My favorite aspect of Engage! is the sense of camaraderie among the attendees. Once you meet a peer at Engage! there is an automatic bond that happens through the desire to learn, excel, share. 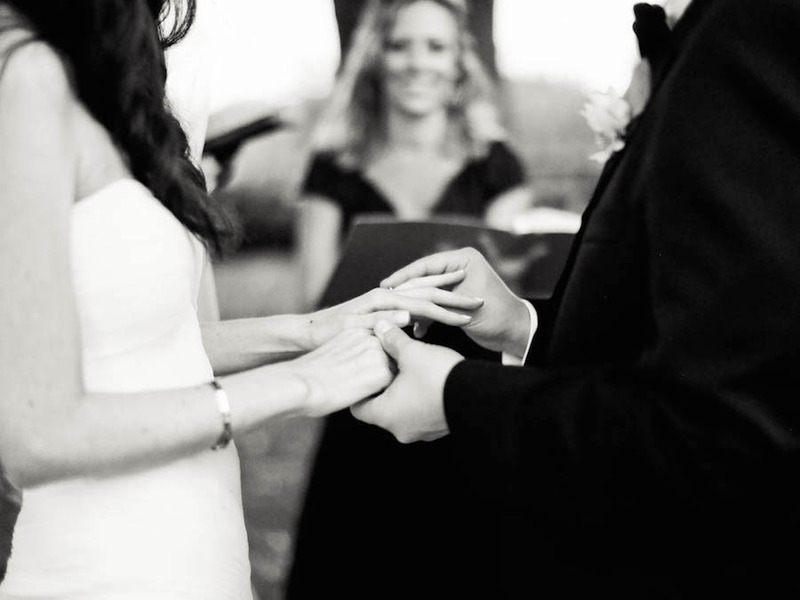 It is truly creating a community of thinkers that are molding the future of luxury weddings. Engage! is designed for committed wedding industry professionals who are looking for innovative ideas and practical solutions for strategic growth. Engage! is dedicated to gathering the best of the best, and is limited to 325 speakers and attendees. Careful attention is paid to creating an intimate atmosphere that blends structure and down time, allowing for candid networking in a non-client, non-competitive environment. The open exchange of ideas, information and strategies for facing the challenges of the luxury wedding industry are a hallmark of the event — often imitated, never repeated. 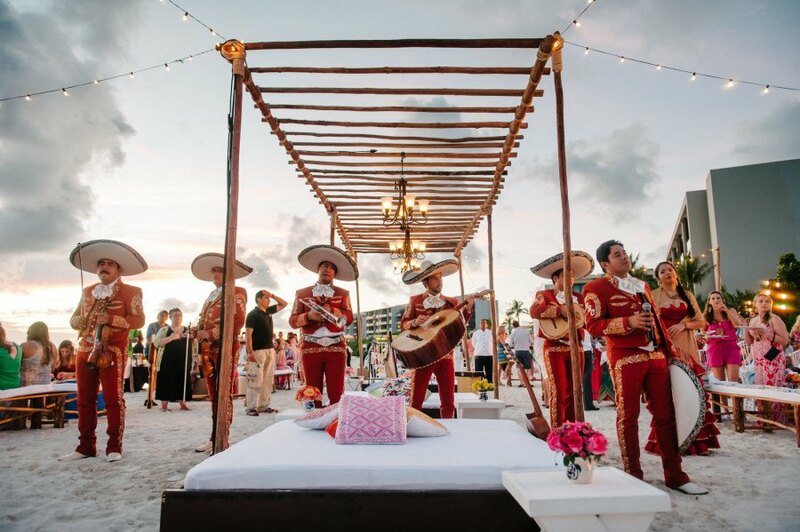 Riviera Maya is one of the premier spots in the world for destination weddings, thanks to stunning natural settings and warm, welcoming culture. 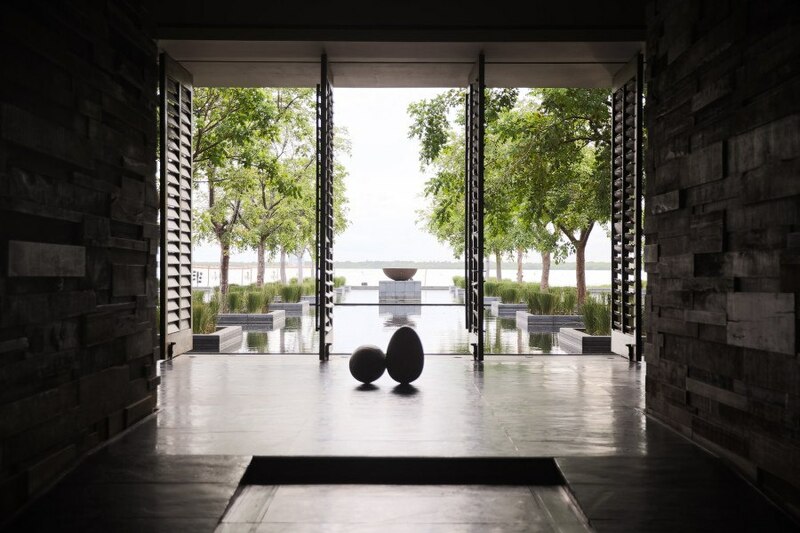 Opened in 2014, the luxurious NIZUC Resort and Spa won immediate acclaim, being named one of Conde Nast Traveler’s Best New Hotels and as one of the Top 100 hotels in the world by Fodor’s. Set inside a 29-acre natural preserve with rainforest and two private white sand beaches, the resort blends Mayan roots with the latest in luxury, including 274 rooms with ocean views or plunge pools, a modern convention and events center, and a lavish ESPA spa. 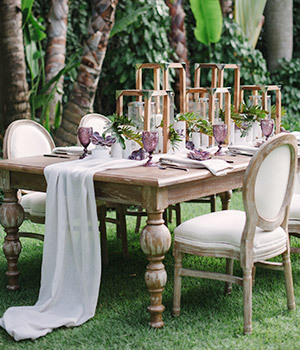 Casual, yet elegant; romantic, but fun – we always love a good garden wedding! 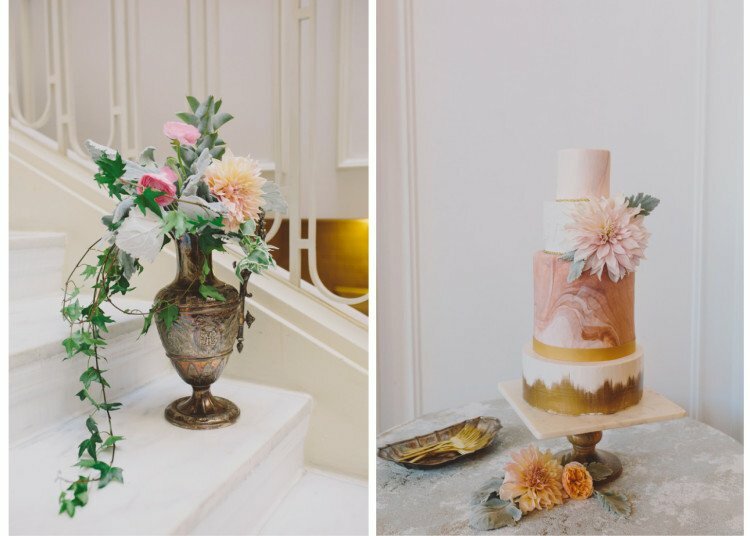 For their beautiful ceremony, Kristen and Chris were particularly inspired by classical English gardens; but they added their own style with soft colors, fun typography, lush and romantic centerpieces, and their own amazing programming (fire pits, dessert buffet, a cigar bar, and a photo booth were just a few of the amazing amenities). Jen Huang Photography was behind the lens capturing the beautiful memories as these hometown sweethearts wed in true style. 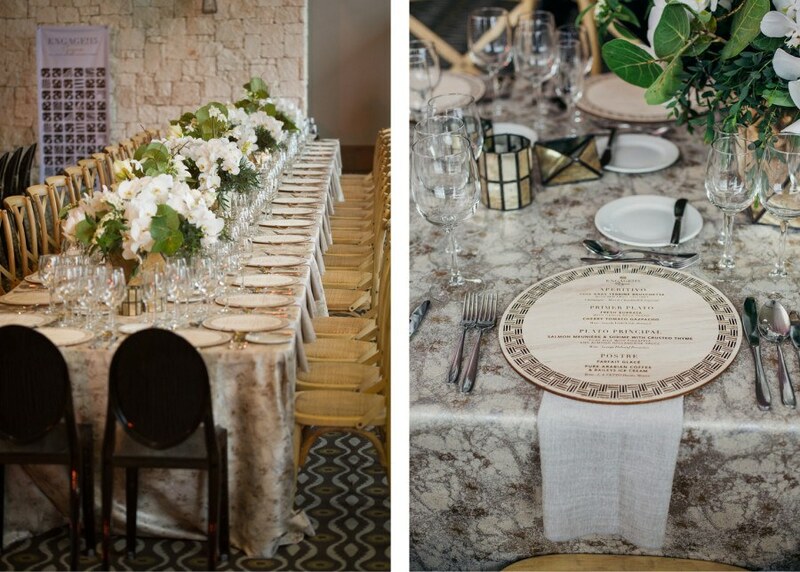 With immaculate details and execution by Roey Mizrahi Events. Check out the beautiful and inspirational details below! 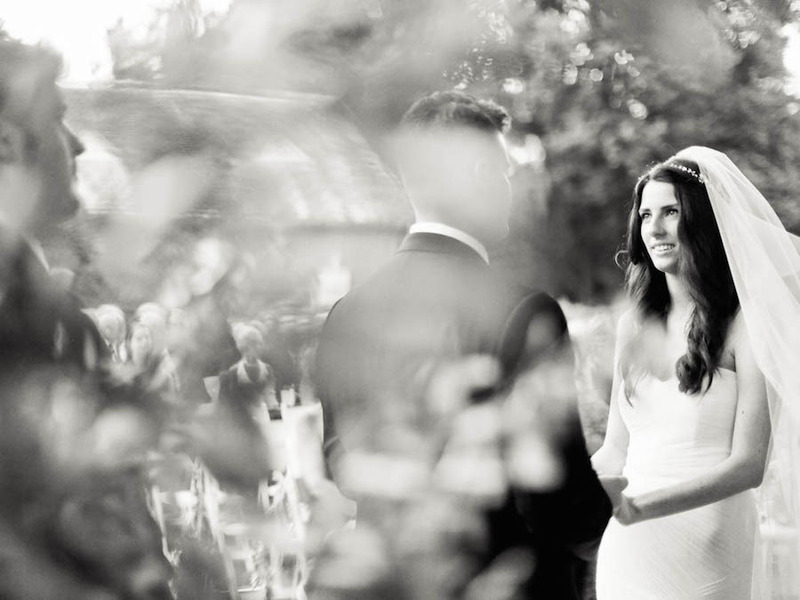 From Roey Mizrahi Events… Kristen and Chris’ love story begins in the town in which they both grew up. While they hadn’t met until several years after high school, they quickly made up for lost time and crafted a playful relationship. It was clear they were destined for one another and as a result, Chris asked Kristen for her hand in marriage at the top of the Belvedere Castle in Central Park. 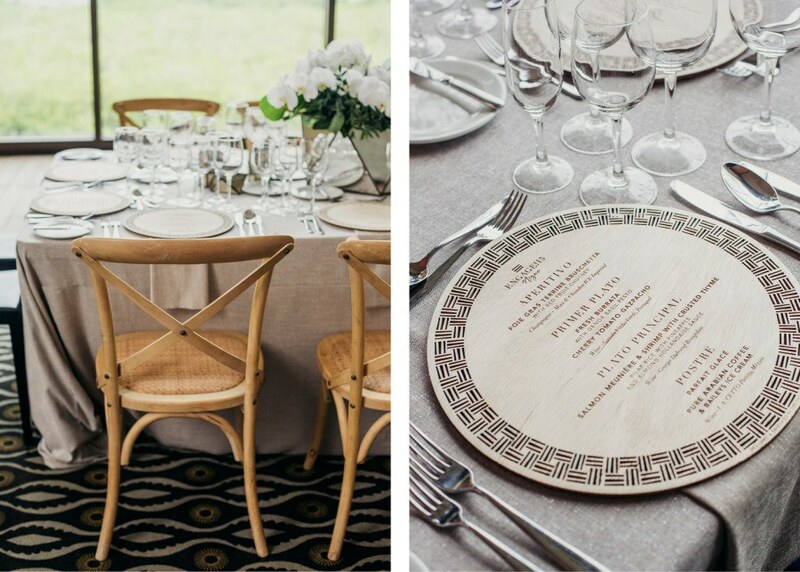 The couple was inspired by thoughts of an elegant English garden for their late August wedding. 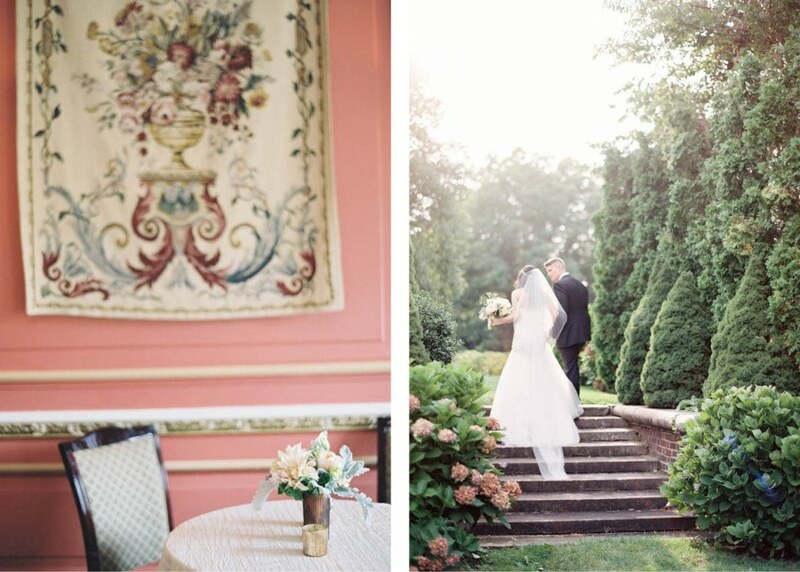 After a handful of venue visits, Kristen and Chris fell in love with NYIT’s de Seversky Mansion. It was the perfect combination of old world charm, elegance and beauty. 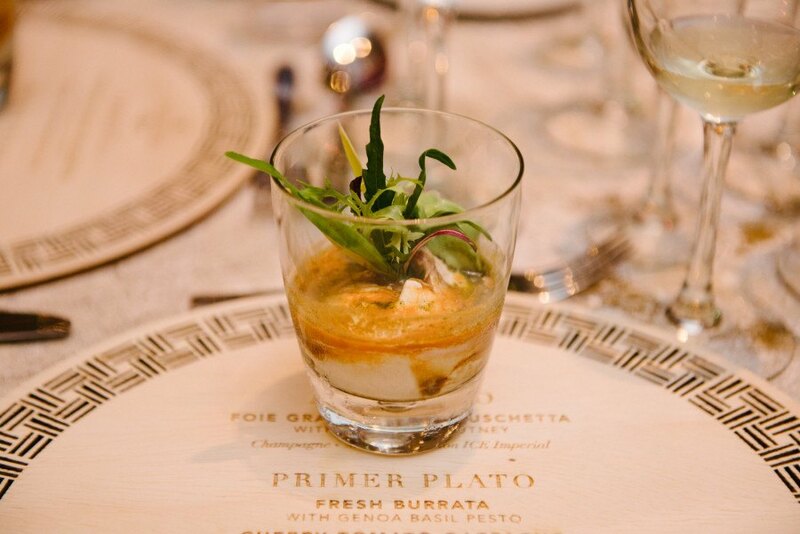 On the day of, a quaint glass terrarium settled upon a rustic wooden table served to provide guests with custom programs and handkerchiefs for the ceremony. Behind the mansion, in a setting adorned with natural and lush florals, the ceremony was held underneath a towering linden tree. 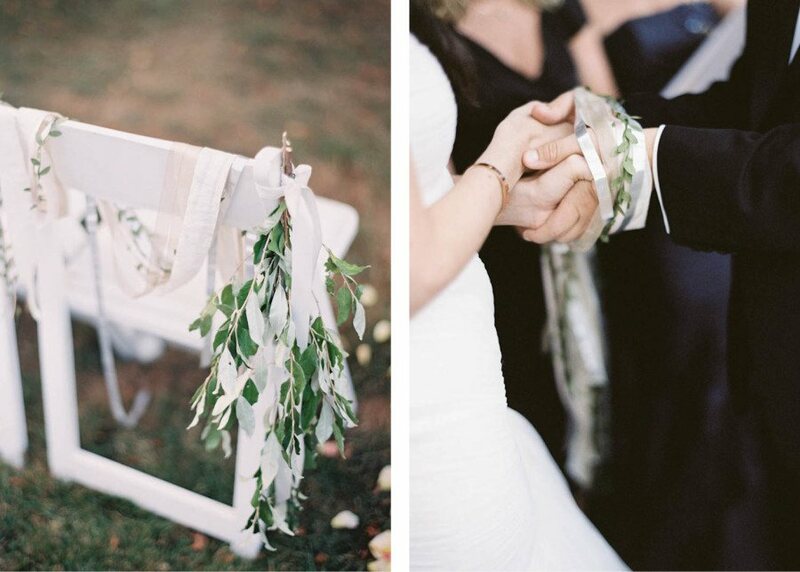 The couple recited custom vows, crafted by Collette McGuire from Ceremonies and Beyond, to one another before friends, family, and loved ones. 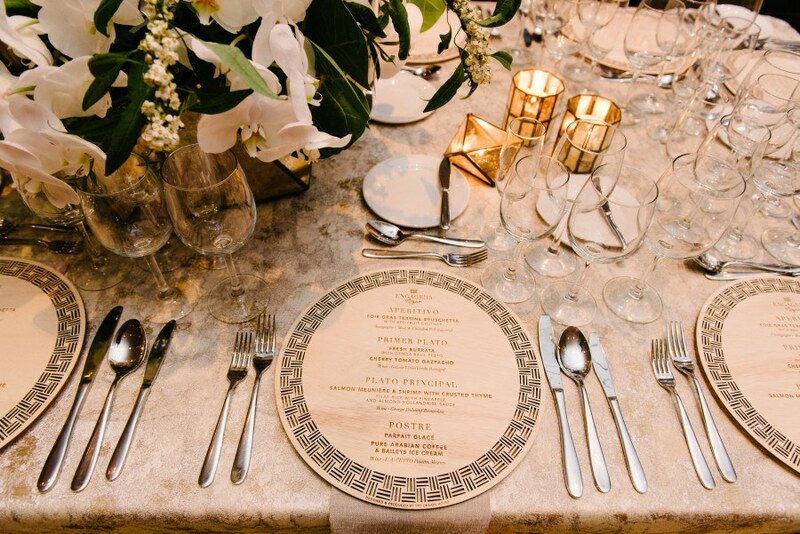 After a plentiful cocktail hour, guests were escorted into the dining room for a round of toasts presented in front of the large marble fireplace decorated with an assortment of candles. 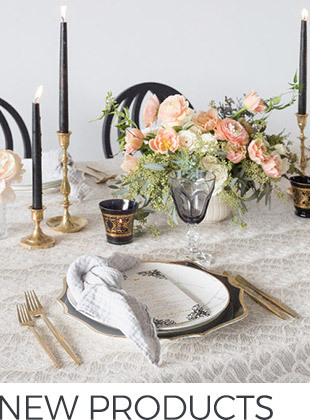 The room had a romantic & soft glow, each table lit intimately by a handful of votives. 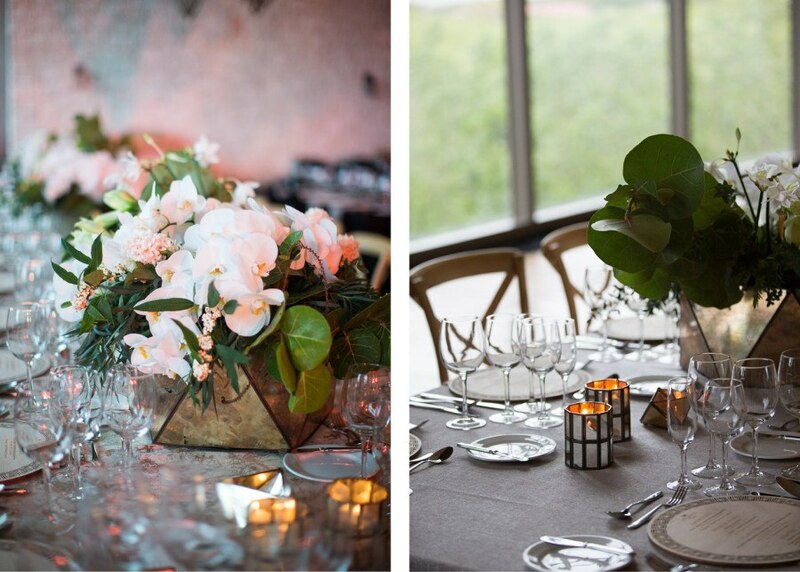 The centerpieces were lush and romantic, overflowing olive branches draped onto the shimmering linens. 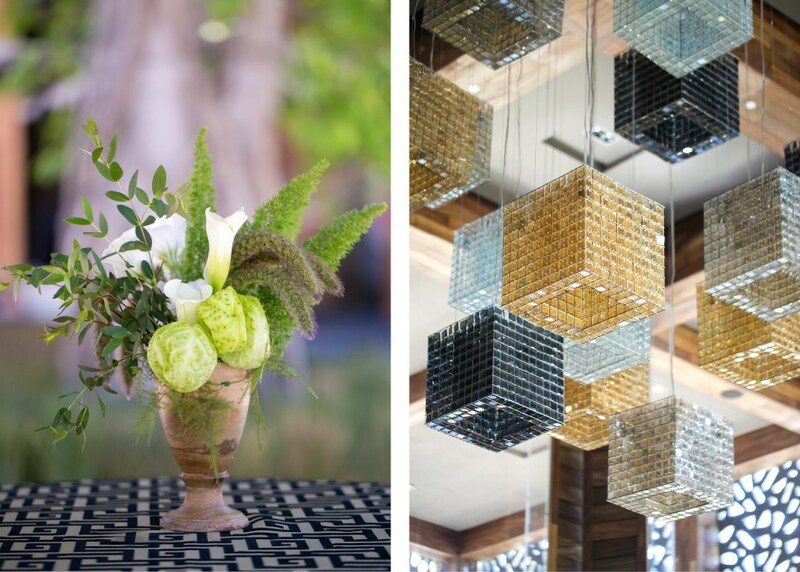 Anne Kilcullen from Blade Floral & Event Design truly transformed the space into one that was unimaginable and beyond the couples expectations. After dinner, the celebration moved towards a glass-enclosed porch which allowed for the stars above to act as the backdrop to the couple’s emotional first dance and the ensuing merriment. 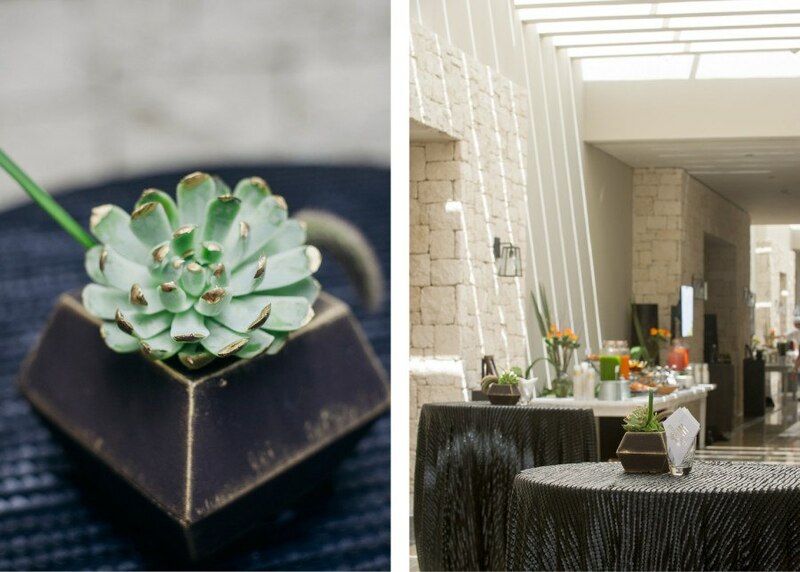 The guests had the freedom to congregate on the outdoor patio surrounding fire pits, indulging in the abundant dessert buffet, the cigar bar and the playful and entertaining photo booth. From the beautiful Bride… With the endless guidance, advice and vision from Roey Mizrahi Events, everything fell perfectly into place. Her team was there the day of to ensure that the couple had the most amazing time and everything ran smoothly. 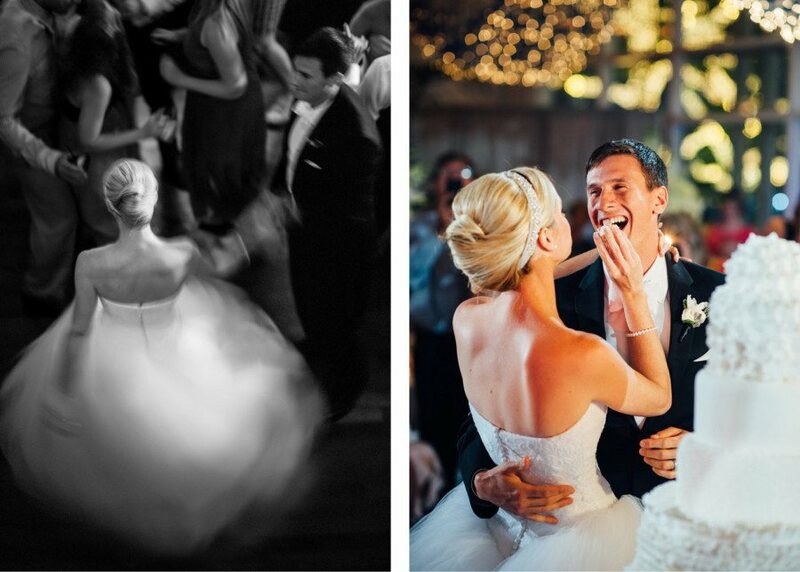 Jen Huang Photography and McKenzie Miller Films beautifully captured all of the days moments from start to finish. This stellar team of vendors truly created the most magical day for Kristen & Chris, a day they have vocalized will be cherished forever and looked back upon with such fondness and swollen hearts. I just wanted it to feel really warm and romantic without being too frilly. I also love classic elements but I didn’t want our wedding day to be too traditional. 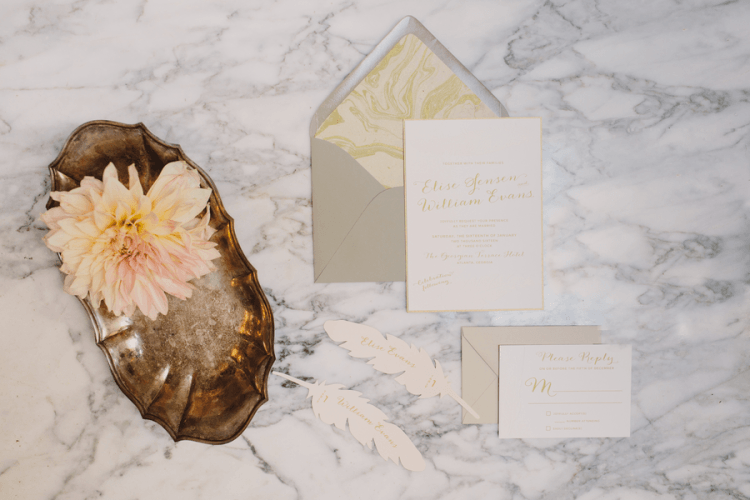 So I tried to mix the two with a soft and somewhat muted color scheme, really lush and romantic flowers, natural fiber linens, clean lines when it came too my dress and our stationery but then introduced some fun swirly calligraphy and of course lace. 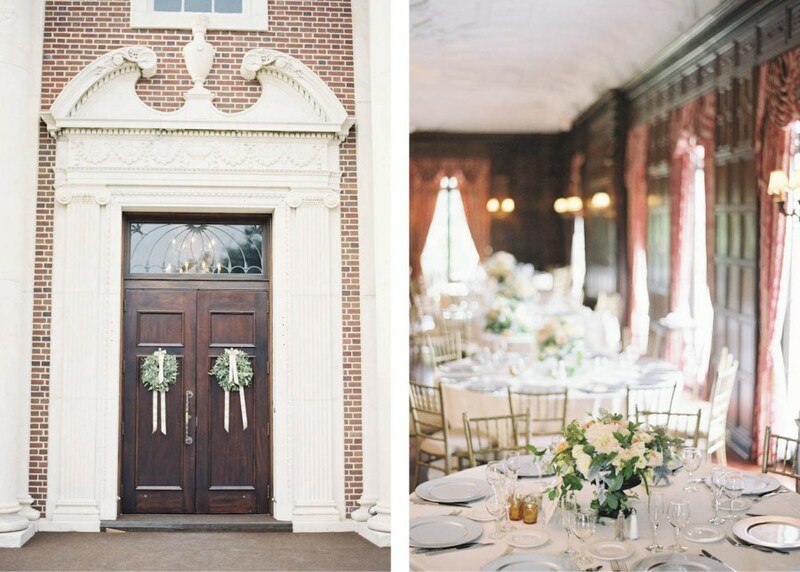 Our venue also helped capture that warm aura without feeling too vintage or too formal and stuffy. When everything came together, it was better than we could’ve imagined. 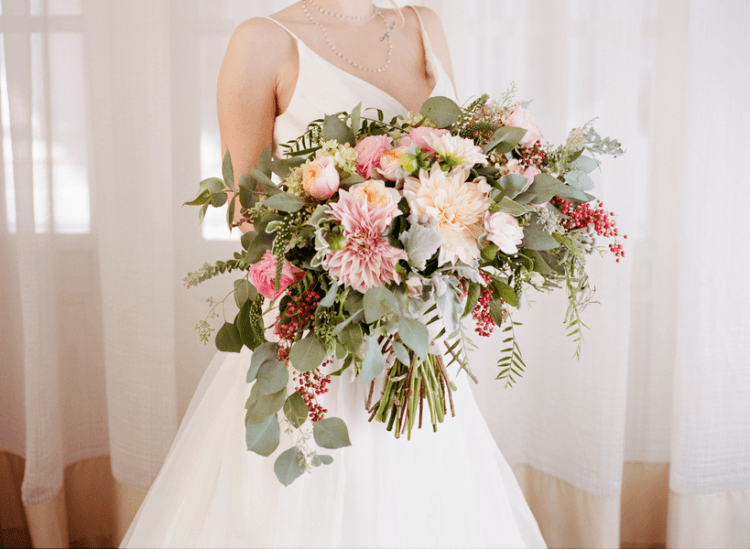 I kept saying “I want our flowers to feel like an old English garden” and I think that’s exactly what Anne, our Florist accomplished, but it didn’t feel too casual thanks to our amazing & elegant venue! This post originally appeared on Style Me Pretty. Elegant All-White Wedding in Washington D.C. When it comes to weddings, one of the main goals that we find brides and grooms are looking for is a wedding that will remain forever timeless. 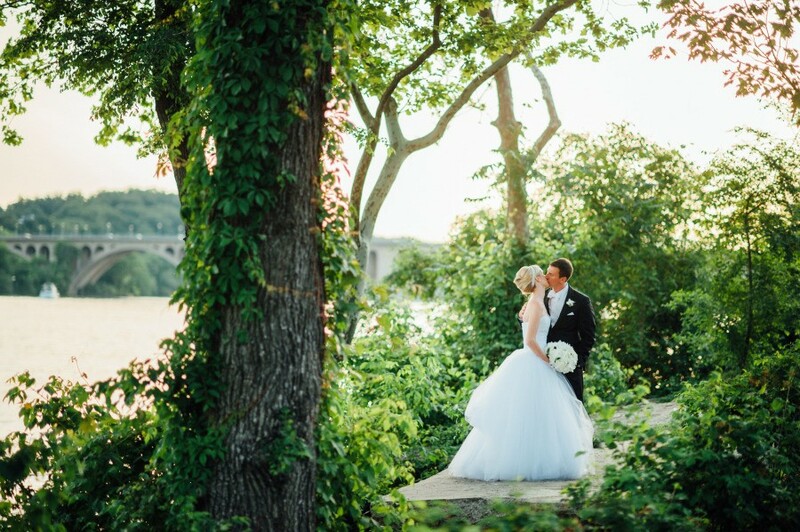 This gorgeous D.C. wedding, featured by Style Me Pretty and planned by Events In The City, on the shores of the Potomac completely embodied that magical, elegant and timeless feel. 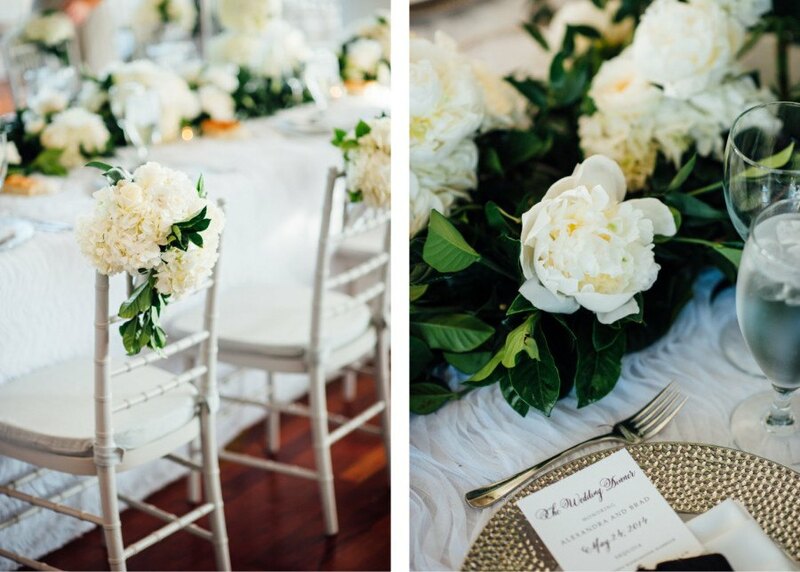 Covered in stunning shades of whites and greens and showcasing our white tulle wave linen, with beautiful blooms from Holly Chapple Flowers – we are so excited to share this stunning collection of images from Rebekah Murray Photography. From Events In The City… The design of this wedding was inspired by the beauty of the water for Brad who is a Navy officer and the classic timelessness of Alexandra’s stunning Vera Wang gown. When we found a linen that was made of tulle and looked like soft waves in the water, we knew that we had found the perfect accent for the king table. A dramatic floral runner and lush elevated designs ran the length of the king table in crisp whites with tons of texture. 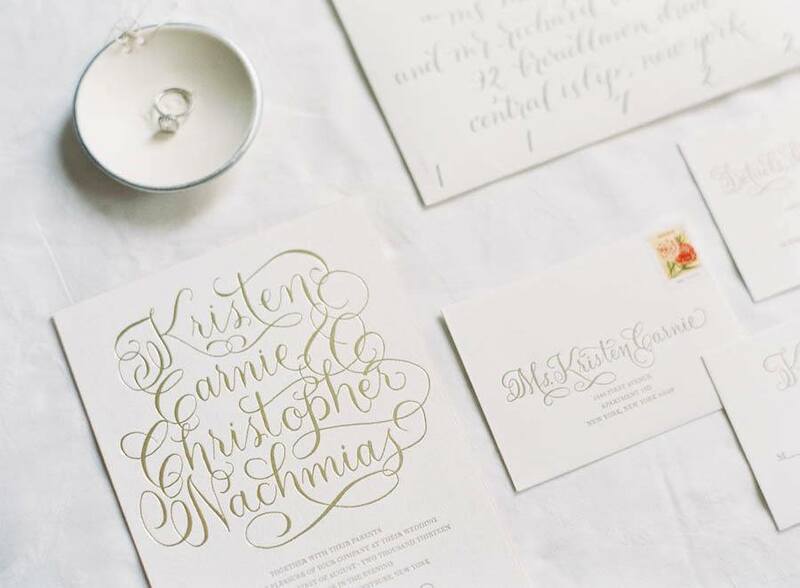 Each guest’s place setting featured a pocket personalized with hand calligraphy that held their menu and a special note from the bride and groom. In lieu of favors, Alexandra and Brad made donations to each guest’s favorite charitable foundation. Guests were mesmerized by the live painting of the reception and checked back throughout the night to see her capture the beauty of the evening. There was not a dry eye in the room when Alexandra surprised Brad, and all the guests, by serenading him with his favorite song. 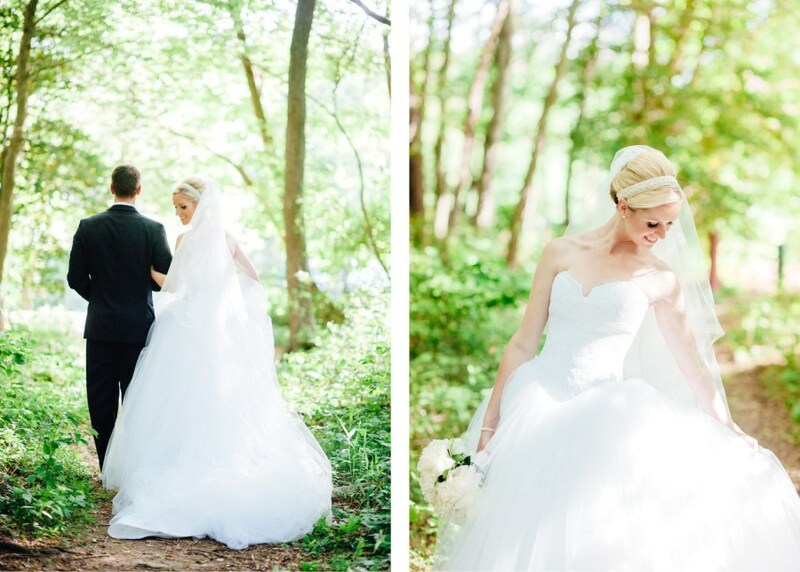 From the beautiful Bride… Our May wedding was a dream and the most fairytale day we could have imagined. After literally chasing my now-husband, Brad, around the track field back in high school, our goofy friendship blossomed into a deep love for one another. With Brad being a Naval Officer, our love story over the past eight years has whisked us from the Atlantic Ocean to the Pacific Ocean and back. 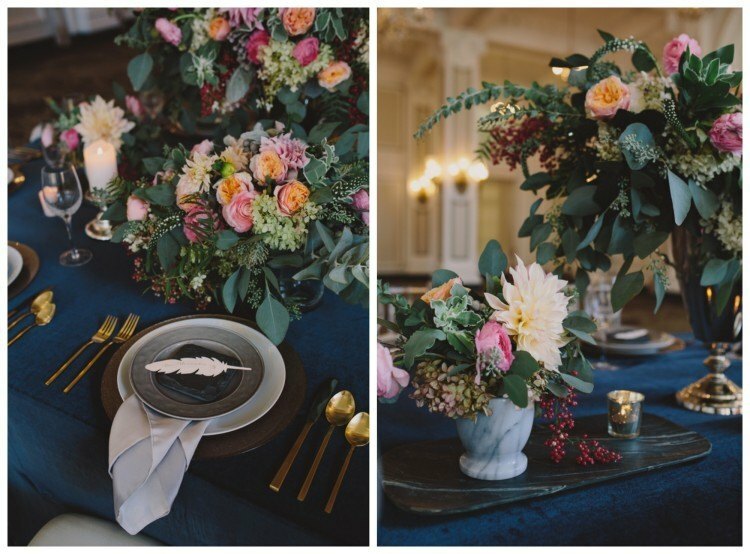 We wanted a classic and elegant wedding with a touch of the bright and open charm inspired by our coastal living. 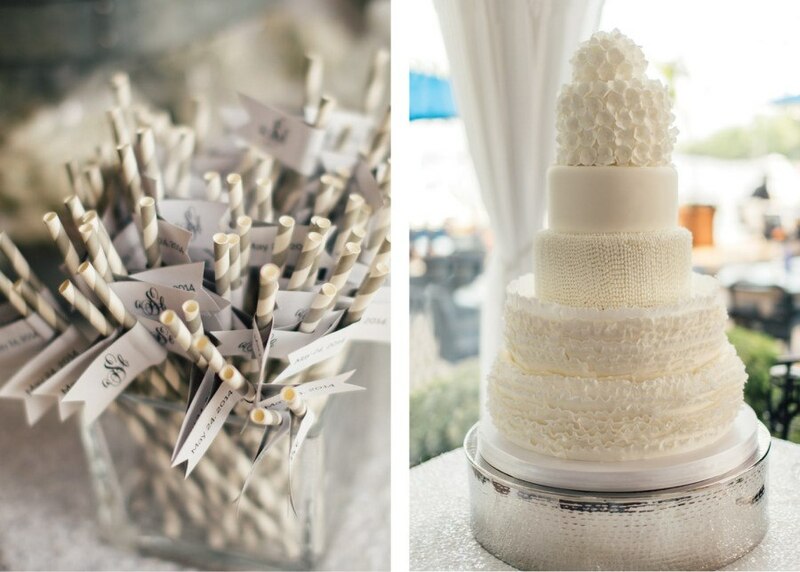 Both classic and bright, the color white was the centerpiece of all of our wedding designs. 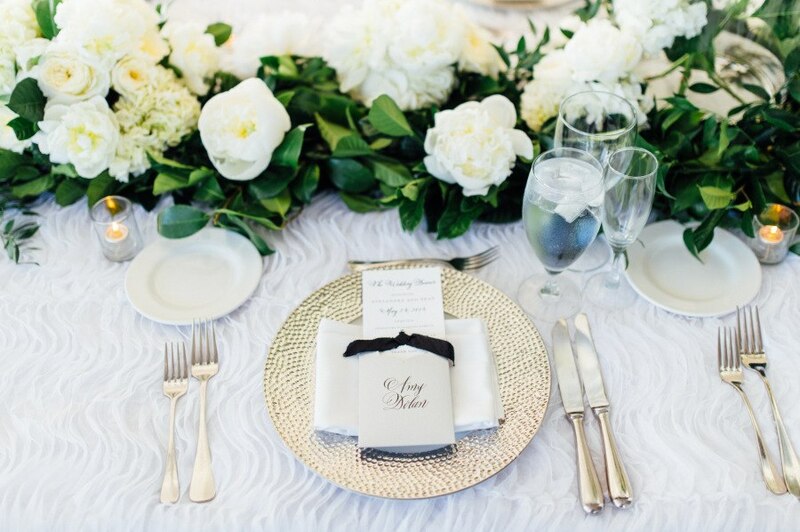 Our vendors diligently worked to unearth stunning white textures from a lace band incorporated into our wedding invitations to the waved tulle tablecloth of the king table at our reception. 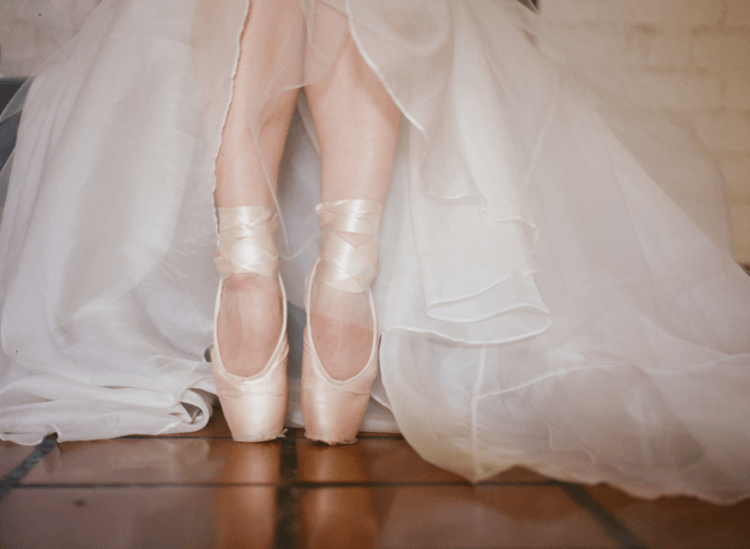 My Vera Wang tulle gown was the epitome of elegance and softness that I wanted to wear as I danced all night along the wispy chiffon dresses of my bridesmaids. 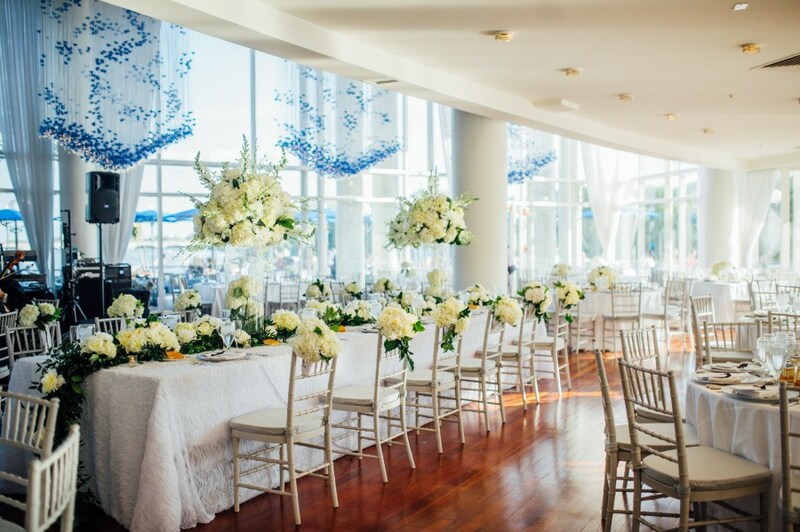 However, what really set the perfect foundation for our wedding atmosphere and style was our venue on the Potomac River, comprised of floor to ceiling windows with water views and an open interior of vast white columns and ceilings. Everything on our special day fell together with such ease and beauty thanks to the creativity and efforts of my mother and countless talented wedding professionals.